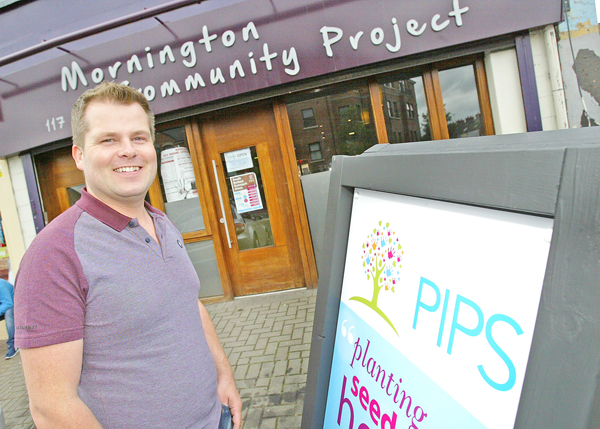 North Belfast mental health charity PIPS are to expand into South Belfast with CEO Brian Maguire confirming they’re opening a new facility on the Ormeau Road. The new office, which will specialise in crisis response, will help to extend the services already offered in North Belfast. “South Belfast is our first ever outreach clinic,” said Brian. “People can come here and be assessed and we will decide together what they need from there. Brian is quick to point out that although the South Belfast Outreach Clinic is only open two days a week, their North Belfast office is open seven days a week. “Our North Belfast office covers everywhere, people from all over avail of our services. “Sometimes people feel better if they come to a strange place, there’s less chance of someone recognising them and they can maintain their anonymity and privacy. We also help a lot of people from rural areas. “Antrim Road is open seven days a week with three late nights Monday, Wednesday and Friday to 9pm, Tuesday and Thursday to 5pm and Saturday and Sunday from 2pm to 6pm. “At Antrim Road we offer alternative therapies and you can be referred to there from our South Belfast Outreach Clinic also. Again there is counselling, befriending, job club, family group sessions. There is great support there. Our South Belfast Outreach Clinic focuses on counselling and befriending. If you wake up one day and are in distress you can come here. “There are loads of different services available here at Mornington and we would encourage people to use them. There is a food bank from 10.30am on a Friday, if someone presents here to PIPS we can give them a voucher for a food parcel if they meet the criteria,” he added. “There are so many service providers using the building, you have women’s groups, a cookery class, there’s a grow your own garden where people can plant flowers and reflect. PIPS offers a range of training which is designed to support individuals, community groups and professionals in the areas of suicide and self-harm. PIPS can be contacted on 0800 088 6042 or 02890 805850.